This book investigates human rights from a global and historical perspective, making the case that human rights are the underpinning of a democratic, global values system. 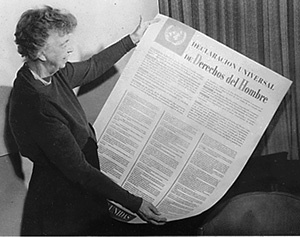 This book investigates human rights from a global and historical perspective. 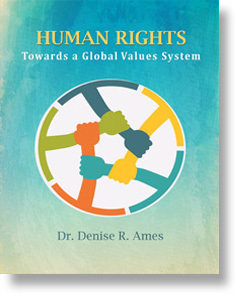 Educator, Dr. Denise R. Ames makes the case that human rights are the underpinning of a democratic, global values system and she and others are working to more fully move towards this goal. Many obstacles obstruct the path to the implementation of universal human rights, but through the work of energetic social movements, dedicated activists and committed organizations this worthy goal can be realized. As these human rights attitudes and values become more deeply embedded within our global citizenry, they become harder to abuse and thus become the global values system that we hope to achieve. This book is dedicated to this goal. We hope that you find this book helps to spark different ways of thinking about human rights and also inspires you to engage in different human rights campaigns! For a better understanding of the topic, this foundational chapter lays out definitions, characteristics, and categories of human rights. It also explores the history and philosophy of human rights through examining how the Ethic of Reciprocity or the Golden Rule has played out in different traditions throughout the world. This chapter defines social movements and explains different types of movements, their tactics, and how they rise and fall. Social movements are divided into historical eras: early movements (1800-1945), modern era (1945-1990) and global movements (1990 onward). The movements explored include civil rights, the environment, women�s suffrage, education, global justice, rights of indigenous peoples, LGBT, and others. The crime of aggression, war crimes, crimes against humanity, and genocide are human rights violations explored in this chapter. Genocide is given attention in five historical case studies and in two 20th century genocides: the Holocaust and Rwanda. Select case studies of human rights abuses in this chapter include the Zulu of South Africa, the Democratic Republic of the Congo, Armenia, Ukraine, Cambodia, Guatemala, Bosnia and Kosovo, the Taliban, and the Crisis in Darfur. This upbeat chapter showcases the compassionate side of humans. 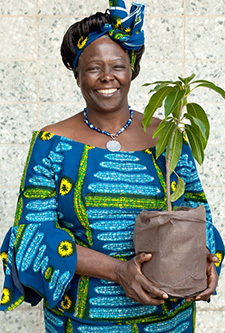 The stories of six inspiring activists are told�Wangaari Maathai (Kenya), Shirin Ebadi (Iran), Aung San Suu Kyi (Burma), Rigoberta Menchu (Guatemala), Muhammad Yunus (Bangladesh), and His Holiness the Dali Llama (Tibet). This positive chapter describes how human rights campaigns are being carried out today. 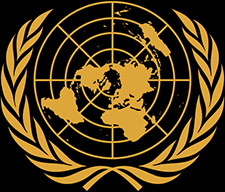 Explained are the roles of the United Nations and its various agencies, human rights NGOs such as Amnesty International, Human Rights Watch, and the Carter Center, and local agencies such as the Albuquerque Center for Peace & Justice in the author�s hometown of Albuquerque, New Mexico, USA. The chapter concludes with a look at the possible future of human rights.